"Rise of the Villains" was the self-proclaimed theme for the first half of Gotham season 2, but things will change when the show resumes this month - namely, from the "Rise" to the "Wrath of the Villains". Similarly, now that Theo Galavan (James Frain) is dead - or, rather, dead for the time being - there is room for someone else to fill the "Big Bad" position that Theo occupied during the "Rise of the Villains" story arc. 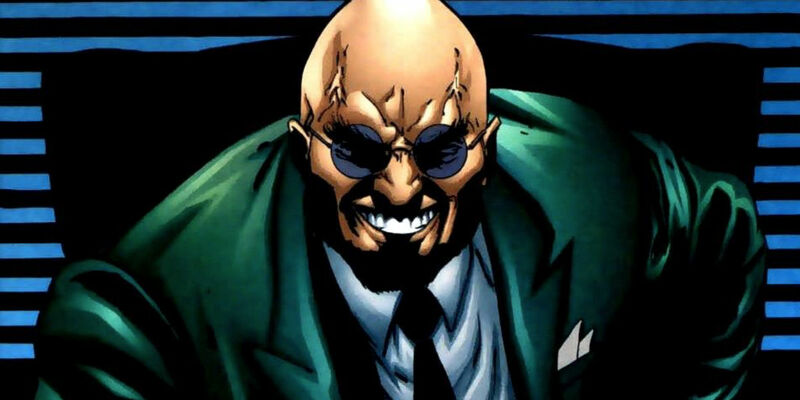 It's not clear exactly who is going to be taking over that job in the episodes ahead, but one strong possibility is that of Professor Hugo Strange, who's been quietly stirring up trouble behind closed doors at the Indian Hill facility, away from the prying eyes of Jim Gordan (Ben McKenzie) and his allies at the Gotham City Police Department. Strange, who debuted in the world of DC Comics in 1940, will be portrayed on the small screen by Law & Order: Special Victims Unit and Jurassic World actor BD Wong on Gotham. The first official image of Wong on the series has now been revealed, along with a tease from the actor about what Strange will be getting up to - in the weird and off-beat world that is Gotham. The "very, very bad" things that Strange has been up to include experiments on the deceased; not just Theo, but other villains that've been featured on Gotham season 2 thus far, including Bridgit Pike a.k.a. Gotham's one and future Firefly (Michelle Veintimilla). McKenzie recently confirmed that death is not at all a permanent condition for the citizens of Gotham City - and we know of at least one character who, for certain, will come back from the dead (in either a figurative or a literal manner) during the second half of Gotham season 2: Penguin's old boss, Fish Mooney (Jada Pinkett Smith), whose return has been confirmed by FOX. The young Penguin on Gotham has thus far proven himself to overall be a careful and shrewd schemer (even with his occasional emotional outbursts) who's willing to get his hands dirty. However, much like the show in general, it sounds as though Gotham's version of the super-villain is only going to become all the more twisted and maniacal hereon out, when season 2 picks back up and Hugo Strange gets his chance to "mess" with the Penguin as he pleases. Gotham season 2 resumes airing on FOX on February 29th, 2016.